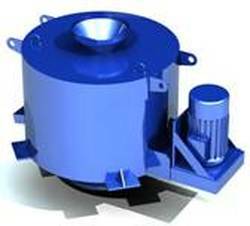 At Chip Systems International, we can provide you with the centrifuge/wringer you need to remove any coolant liquids from your metal chips. From stand-alone centrifuges to turn-key centrifuge systems, we have the largest selection of centrifuges to fit your chip wringing needs. We have capacities from 500 pounds per hour to 5000 pounds per hour. Different designs – such as diagonal, horizontal, and vertical centrifuges or wringers – are available to satisfy your specific application requirements. 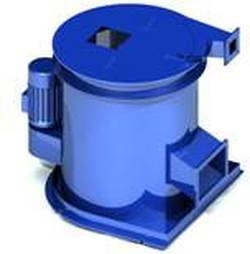 ​We also carry infloor centrifuges, included in new plant construction, and tub dump centrifuges, the most common and complete chip wringing system.